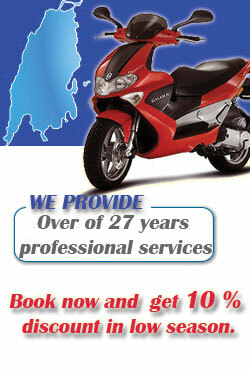 Lefkada motorbike rentals - ilovesantas - Lefkas motorentals contact us. The Suzuki V-Strom 650 (DL650) is a mid-weight, sport touring motorcycle launched in 2004 with a standard riding posture, fuel injection and an aluminum chassis — now in its third generation since model year 2017. The V-Strom 650 trades strength in a single area for adaptability to a variety of riding conditions: commuting, cruising, adventure touring, and to a lesser degree, off-road riding. 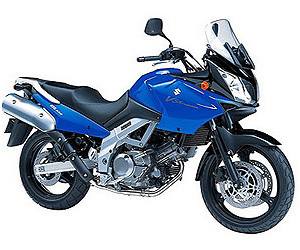 The bike is variously categorized as dual sport, sport enduro tourer, street/adventure, commuter, or entry-level bikes. Please insert the characters of image. Click here for image renewal. Please make sure the information above are accurate. The confirmation of your booking request will be answered by e-mail, while checking for availability. Our fleet of rental motorbikes, includes the latest models from manufacturers such as Piaggio, Honda, Suzuki, Yamaha, Kymko, and Aprilia. For over 7 days of rental we offer special prices. Our focus is always on quality, and our range of make and size allows everybody – regardless of taste or experience – to happily tour around our intriguing Lefkas island. 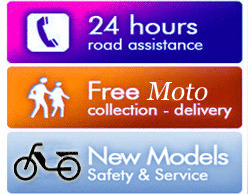 At SANTAS MOTORBIKE RENTALS we are proud of specialized service since 1986, in the small-vehicle hire industry, and we guarantee the quality and maintenance standards, with best prices. We also speak Italian. Santas has the best ever prices in Lefkada motorbikes rentals for you.